Our virtual tour takes you through one of the two identically constructed catamarans. 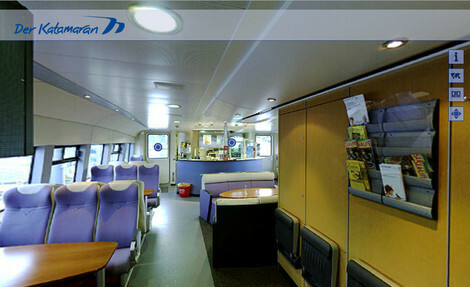 Marvel at the catamaran’s unique features from bow to stern - two interior photos depict many details and even show you a view of the bridge. Enjoy the tour!